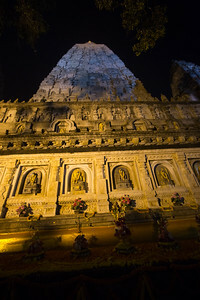 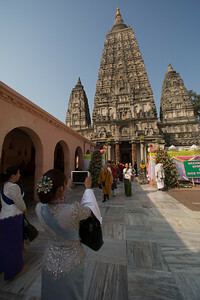 Mahabodhi Temple at the site of the Bodhi Tree, where Buddha gained enlightenment. 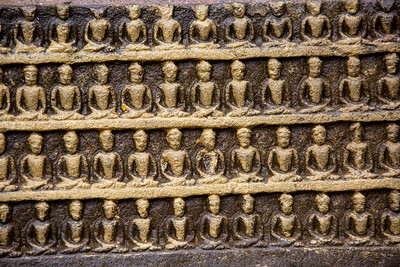 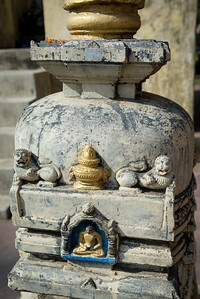 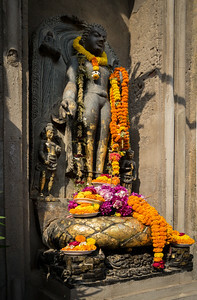 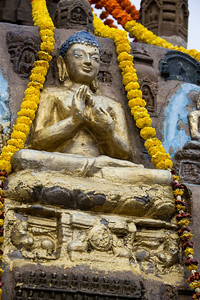 Details and Sculpture at Mahabodhi Temple, the site of the Bodhi Tree, where Buddha gained enlightenment. 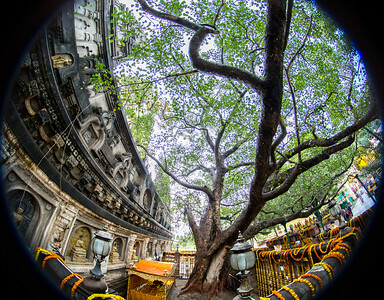 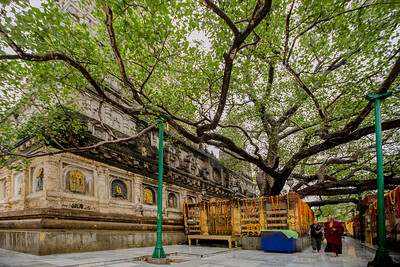 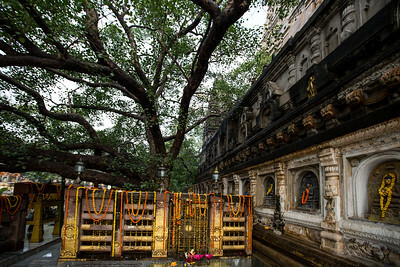 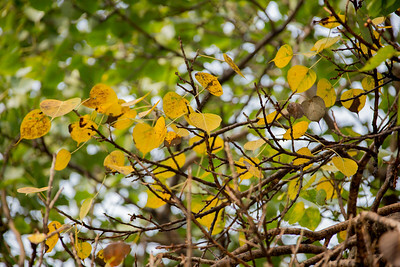 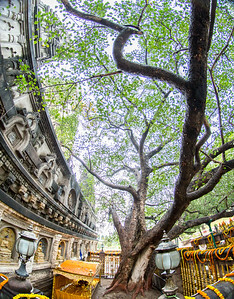 Leaves on the Bodhi Tree, where Buddha gained enlightenment. 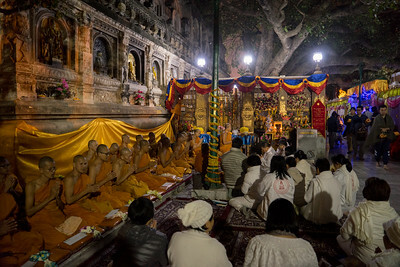 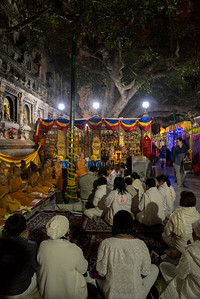 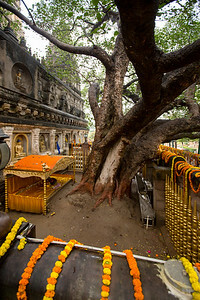 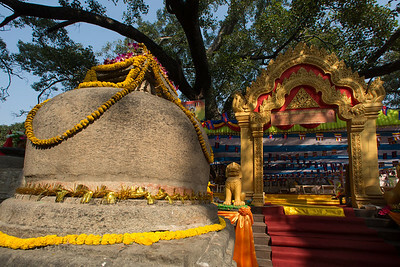 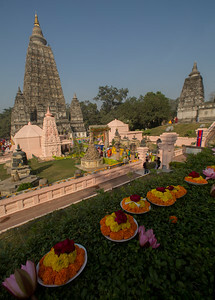 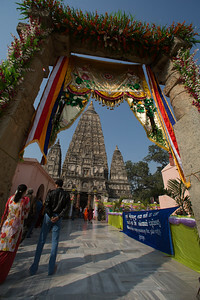 10th annual Tipitika Chanting Ceremony under the Bodhi Tree, Bodhgaya, Bihar, India. 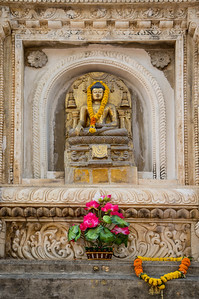 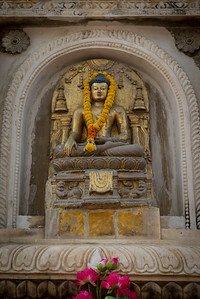 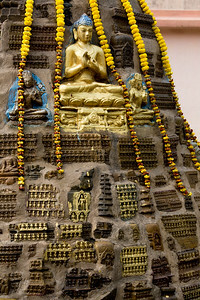 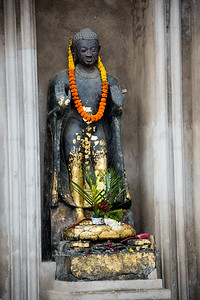 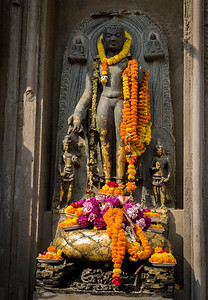 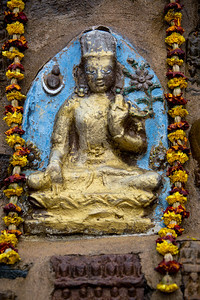 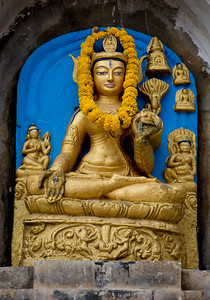 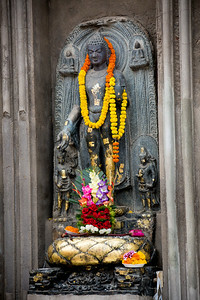 Buddha image at the main Mahabodhi Mahavihara temple, Bodhgaya, Bihar, India. 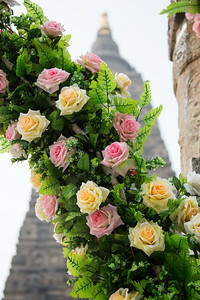 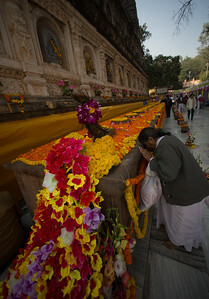 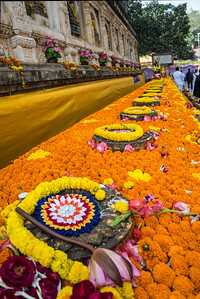 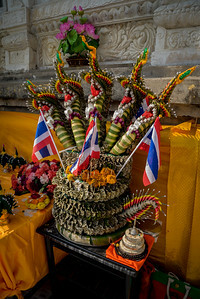 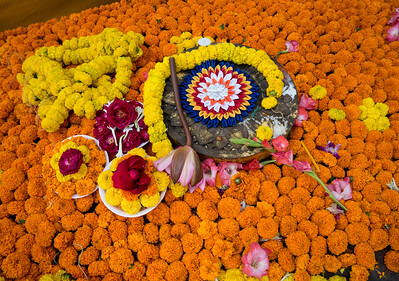 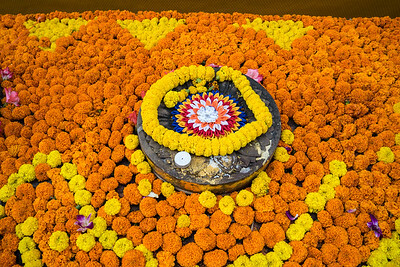 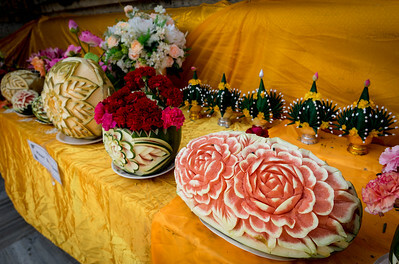 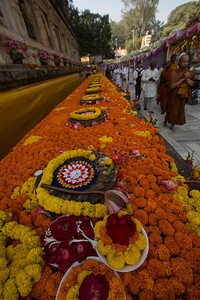 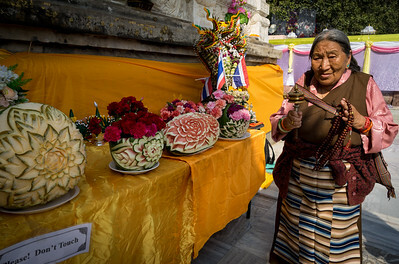 Flower decorations offered by lay devotees in honor of the Tipitika chanting program. 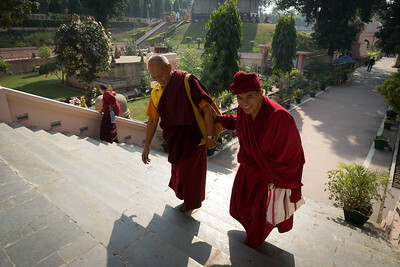 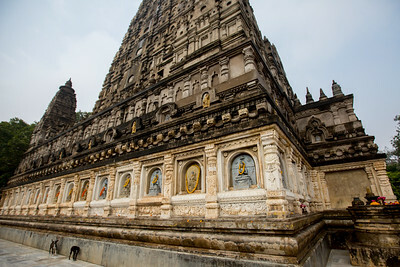 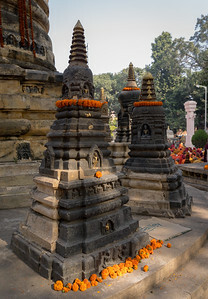 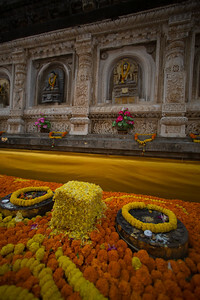 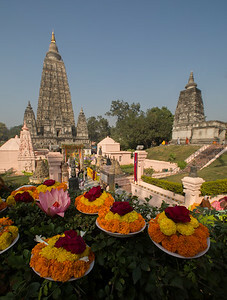 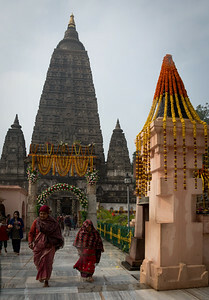 Bodhgaya, Bihar, India.